Jazz syllabus for grades 5 - 12. Jazz for Grades 5-12 covers: Posture/Body Alignment, Steps/Terminology, Theories/Principles of Jazz, Exercises/Combinations, and Use of Music. The classes include warmup, across the floor and center combinations. 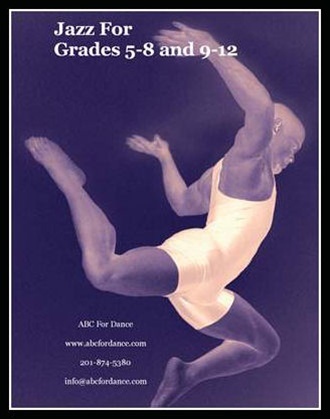 All lessons are designed to be taught in an academic school setting without the need for barres, mirrors, and special footwear. The syllabus includes 30 lesson plans, exercise breakdowns and a brief history of jazz dance. This product is delivered by instant download. To receive backup files on CD or the paper copy of the manual, please add those options to your cart. CD and manual options will be shipped by USPS mail and any related shipping fees will be added at checkout.